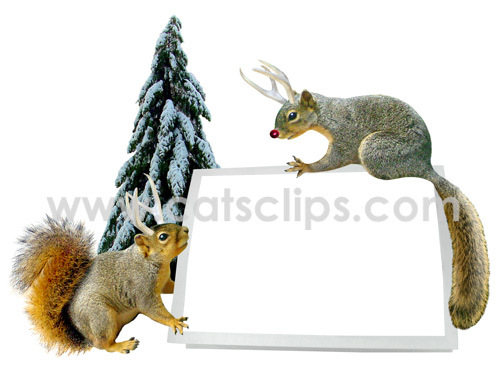 Two reindeer squirrels with antlers hold a greeting card. Put your picture into the transparent center to make your own unique Christmas cards. PNG with a transparent center and a white background.